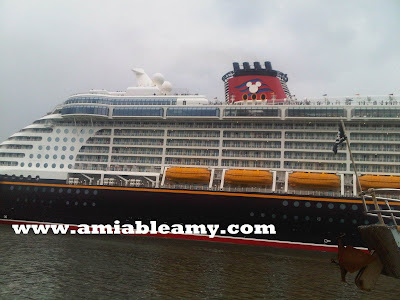 Did you know that the cheapest price for a Disney Cruise Getaway is $450/person. That is not a good deal for me but, I keep an eye every time they sent me a notification email alert. 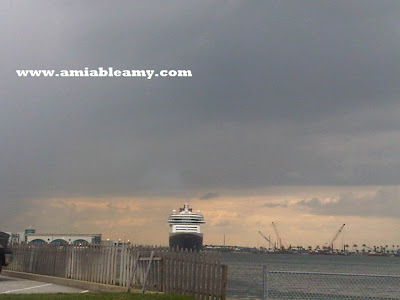 I took these pictures at Port Canaveral while hubby and I were in Cocoa Beach having dinner in one of the restaurants in the area. 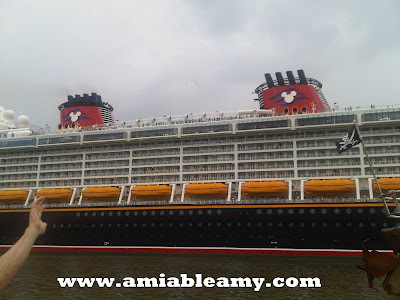 I am curious about the Private Island of Disney in Castaway Cay, that is the reason I am wishing that someday I can take this cruise. 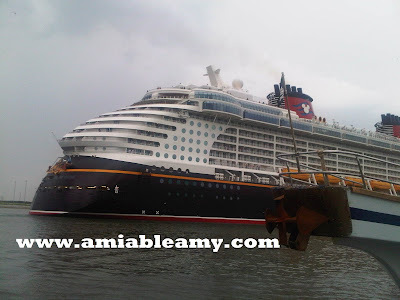 Disney Cruise Line consists of: Disney Dream which is a new ship, Disney Magic, Disney Wonder, and Disney Fantasy. 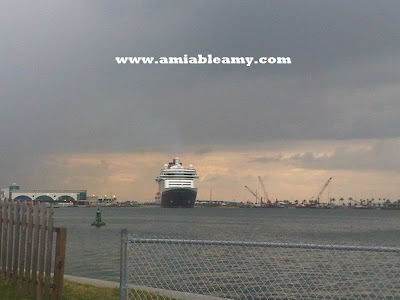 The usual ports of call for Disney Dream, Disney Magic and Disney Fantasy is Port Canaveral and these cruise ship sail towards the Caribbean. There are times that it will depart from Texas. and California. The most expensive price is $2,700 per person. That is really expensive huh? Thanks for stopping by...more photos next time.